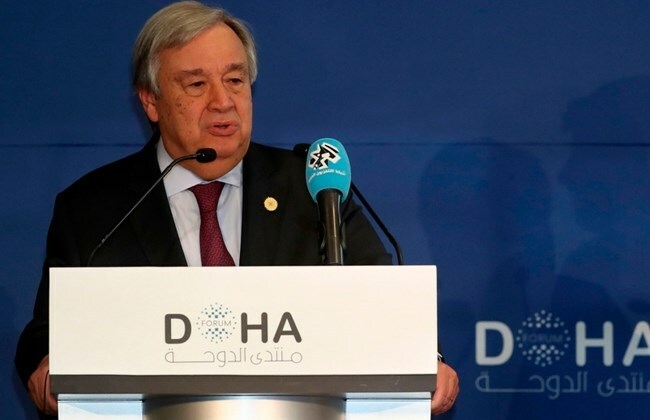 (Doha) – UN chief Antonio Guterres warned that “much worse” lay in store for Yemen in 2019 unless its warring parties strike a peace deal and head off a humanitarian crisis. A high number of Yemenis have been dying in “very dramatic circumstances” as a result of food shortages, Guterres told a news conference in Doha. “The fact that famine was not yet declared does not in any way diminish our huge concern with a very high level of hunger that exists in Yemen” and “people dying in very dramatic circumstances”, said Guterres.